Bridal showers. You either love them, or you hate them, and mostly due to the gift factor. If you’re anything like me, you like to give gifts to those you love that are personalized. Something unique. A gift that causes the person to immediately recall an inside joke between the two of you. Or perhaps you are the kind of gift giver who is always thinking ahead, contemplating what the recipient of said gift truly needs or has been pining over for months. In this post, we’ll share with you two perfect gifts that nobody else has likely even thought about. What happens on someone’s wedding day? Photographs are taken. What do photographs do? Last forever. The bride and groom will life on forever, their joy radiating from their smiles. Sugar Fix Dental Loft has two perfect products for that special friend or family member of yours whose pending nuptials are right around the corner. ZOOM II advanced power whitening and porcelain veneers are excellent options for bridal shower gifts. You will make that bride’s life so much easier. Mind you, this is if the bride doesn’t already have the most brilliant smile in the world, blindingly white and razor-edge straight. Unlike take home kits where non-professional treatment is administered, ZOOM II advanced power whitening is only available at dental offices. Teeth can go up to eight shades brighter than their starting color state. The busy bride will only have to set aside a mere 90 minutes to visit Dr. Emery to receive the treatment. 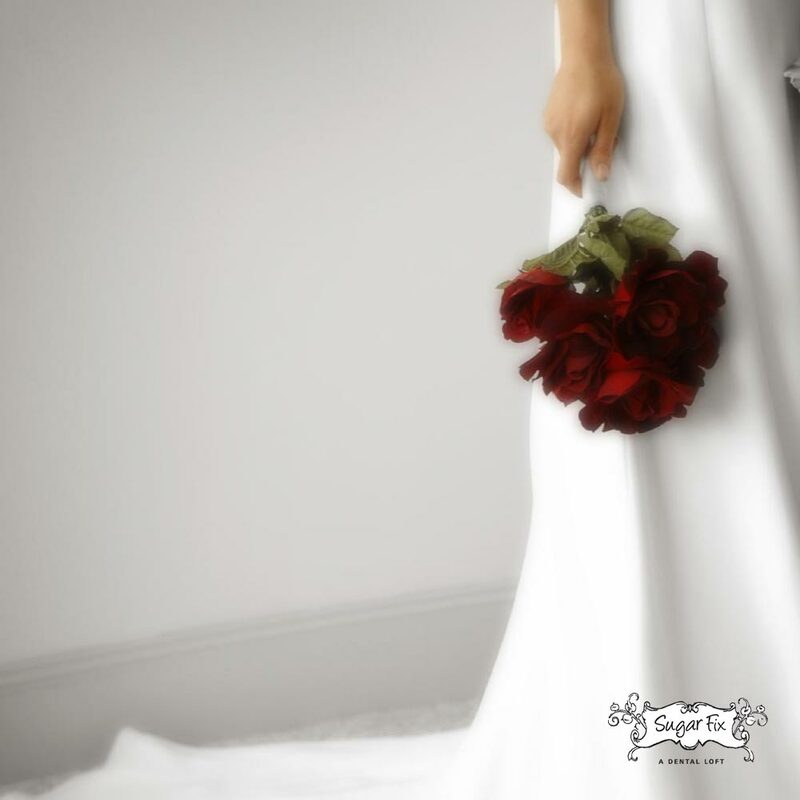 Even better still, the experience the bride will have while at Sugar Fix Dental Loft will be a treat in and of itself. Sugar Fix is more of a smile spa, if you will. Rest and relaxation plus cosmetic conditioning will make anyone think they’ve died and gone to heaven. Though the bride will only wear her wedding gown once, her teeth can wear white for years to come. Every patient who receives ZOOM II will take home trays and Venus White products to maintain results. Porcelain veneers are an option if you know the bride has always wanted to fix her flawed smile. Whether the flaw is misalignment, wide gaps, chips, cracks or breaks, porcelain veneers will permanently fix the issue that has been bugging her for however long. The entire process takes only two appointments! Veneers are perfect for a bride who is taking her time with wedding preparation and reaping the benefits of a long engagement. Contact us today about ZOOM II and/or porcelain veneers for your deserving bride-to-be. Go ahead, make her day. She’s worth it and you know it.